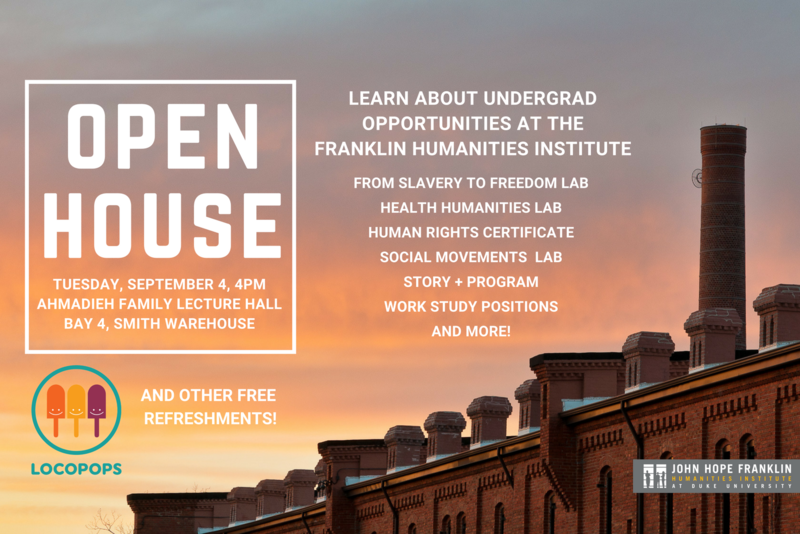 Come visit the Franklin Humanities Institute to learn about opportunities for Duke undergraduates in our humanities labs, the Duke Human Rights Center@FHI, and the Story+ program! There will be brief presentations, and you will have the chance to speak to lab directors and program representatives about ways to get involved. Free food and drinks, including LOCOPOPS! Faculty, graduate students, and staff welcome!